One relatively new layout feature of CSS3 I have utilized greatly in the past year or so is flexbox. 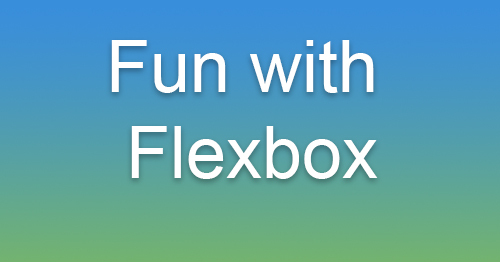 Flexbox is short for flexible box and like the name implies allows you to create a flexible layout for display across platforms and most browsers (eg, Chrome, Firefox, Safari and IE11 and up). One super cool thing I learned in flexbox was center aligning text both vertically and horizontally and it only took me like 5 mins! Other cool things you can do in flexbox are setting the order of items such as divs using the order property. And voila! .child4 will then move into the first position. These are just a few basic easy aligning that can be done via flexbox. There are many more capabilities that flexbox can do. CSS-Tricks has a really good Flexbox tutorial.